Enhancing your natural smile through cosmetic dentistry is an exciting experience, but some patients may also find it nerve-wracking. After all, you can’t be sure of what the results will look like until after you’ve already made the commitment – and what if they’re not quite what you expected? At Juno Beach Smiles, Dr. Duane Keuning and Dr. Greg Riley work hard to establish a warm, trusting relationship with all of their patients, and we only recommend services that are a great fit for your personal smile goals and preferences. 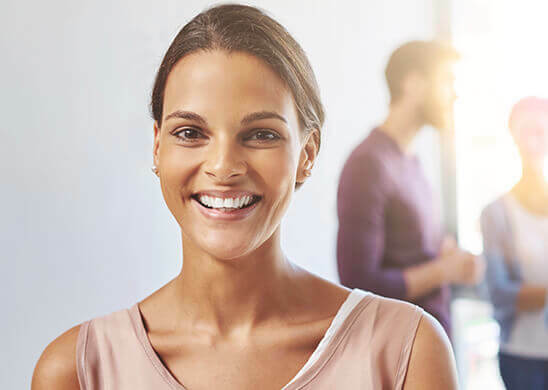 We understand that your personal image is of the utmost importance to you, and we want you to feel fully confident that you’re making the right choice for your future. That’s where state-of-the-art digital imaging technology comes in. The process is simple: once we have completed your full oral examination and discussed the results you’re hoping to achieve through cosmetic treatment, digital imaging will allow us to alter photos of your current smile to demonstrate how certain services will improve your facial appearance for the better. With digital imaging, it’s possible to virtually look into the future – and you can even take your edited photos home to show your family and friends what’s to come. Here in Juno Beach, FL, patients can look forward to personal attention, a modern atmosphere, and the stunning results they’ve been dreaming of. Contact our office today to schedule a cosmetic consultation, or if you have any questions our team can provide assistance with. We look forward to welcoming you here by the ocean! Want to see what a smile makeover looks like? Sylvia has been a patient with Juno Beach Smiles since 1989, dating all the way back to when Dr. Hinman first led the practice. Since Dr. Riley has taken over, he has helped Sylvia maintain and enhance her smile as the years have gone by. Using a combination of crowns and porcelain veneers, he was able to give her a complete smile makeover that allows her bright spirit to shine every time she shows off her teeth. A smile makeover is a comprehensive treatment, and it can be difficult to envision what might be possible with your teeth and gums. That is why we are pleased to offer the Smile Virtual Consult, technology which makes it easier to find out! Simply upload a photo of yourself to the secure website, describe what you do not like, and then wait for your personalized video. Get some great ideas -- for FREE -- without ever leaving the comfort of your own home.